The Society promotes and encourages the study of the history of the Parish of Hambledon. 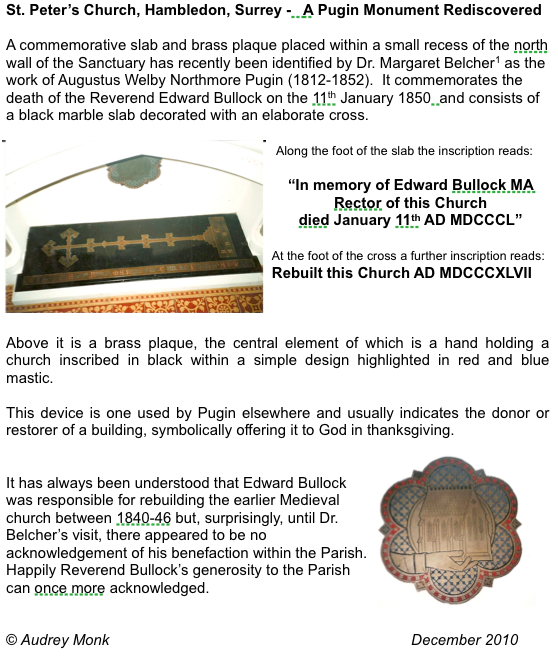 It encourages the conservation and preservation of buildings, memorials, antiquities, memorabilia, records, manuscripts and pictorial material relating to the Parish of Hambledon. The Society owns photograph albums going back over 100 years which are kept up to date. These are displayed at village events, and are available to Hambledon residents to borrow. The Society organizes an annual lecture on a relevant topic each spring. Hear Mr Milligan's memories of life at the Village School here. 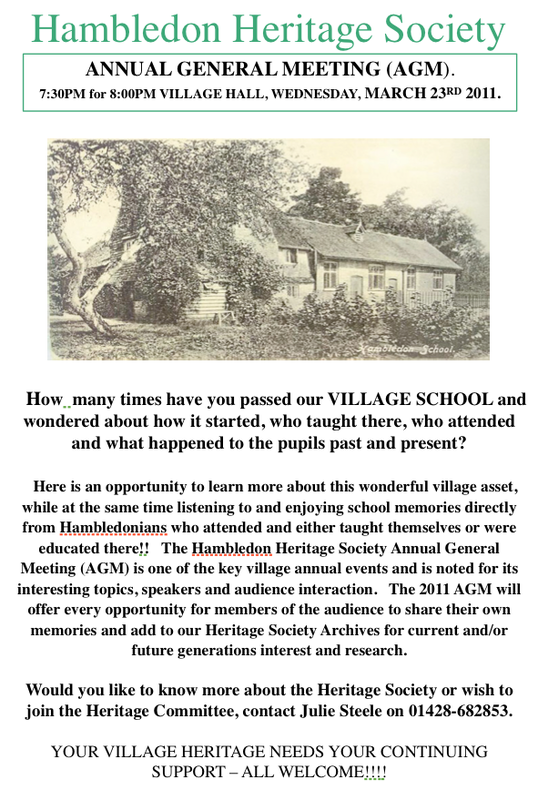 The Hambledon Heritage Society is also proud to announce the publicationof the first part of their Oral History Project: video and audiorecordings of villagers' stories recounting life in the Hambledonduring the 1940's. Click on the banner above to listen and view. If any other Villagers have personal memories they would like to contribute, participate in this CD development project, join the Heritage Society or its Committee please contact Julie Steele on 01428-682853.